A hard days digging by the SE corner of the cottage. 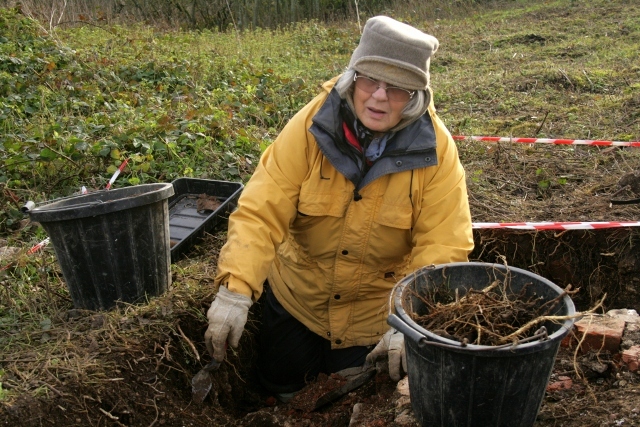 A challenging but rewarding day’s dig. The winter has well and truly set in, and with it a pressure to finish off our excavation of the cottage site before we have to shut the dig down. Looking S at E side of the cottage. 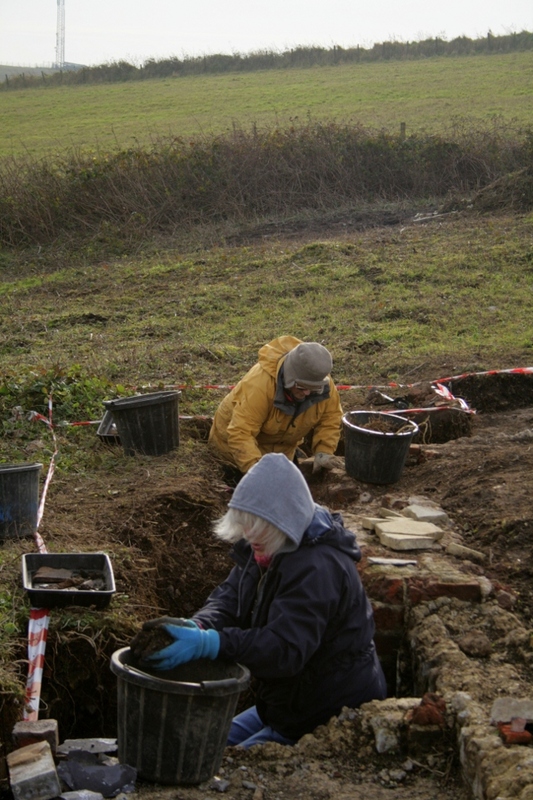 Our volunteers were therefore hard at it in the deepest of our trenches; narrow slots down through difficult demolition rubble hard up against the southern half of the east side of the cottage, just wide enough to dig in, with the intention of discovering the depth and nature of the original ground surface. Looking NE at gap between bases of laundry copper and chimney. The good news was that finds were plentiful. The bad news was that the majority of these were rusty nails – almost half a bucket full! 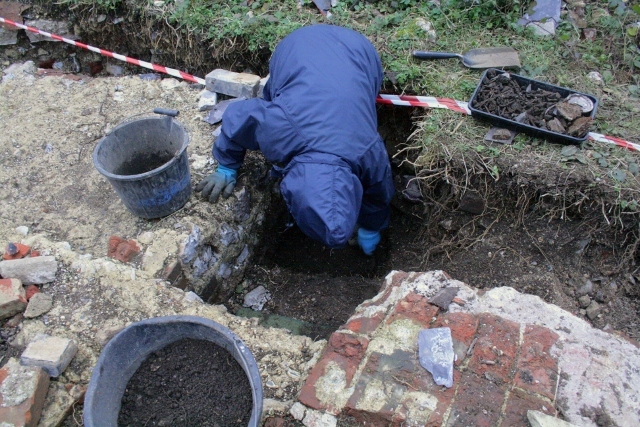 In the gap between the base of the laundry copper and the chimney breast it appears that a fire burnt a quantity of wood, which may have been the source of the nails; perhaps timbers taken from the cottage’s demolished remains. 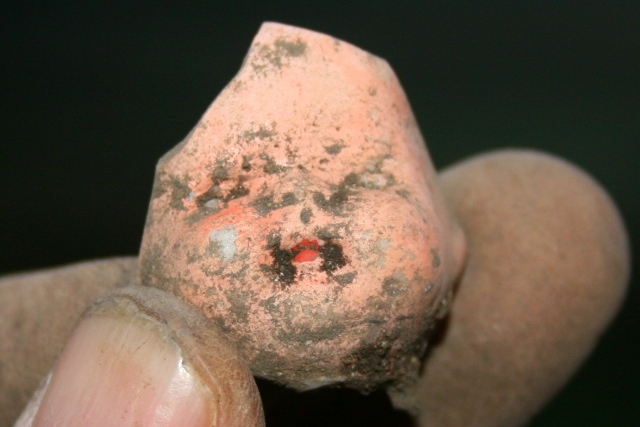 Ceramic finds were very nice though. Some nice decorated ceramic shards of mocha ware, blue and white, and other nice pieces. Cherubic face of ceramic doll. The very best of these was the cherubic face of a small doll. 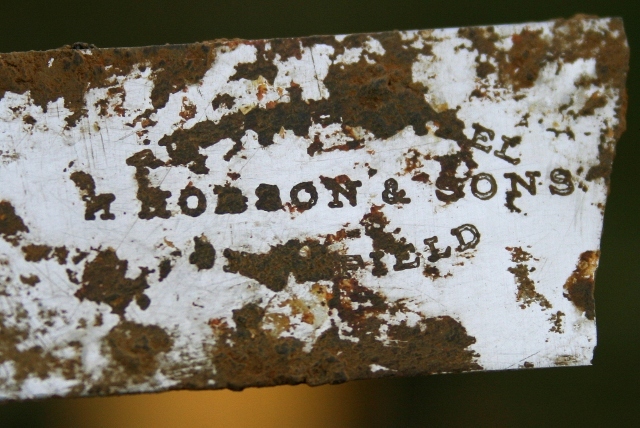 Rustless (stainless) steel desert knife by H. Hobson & Sons, Sheffield. The best metal find was the ‘rustless steel’ blade of a desert(?) 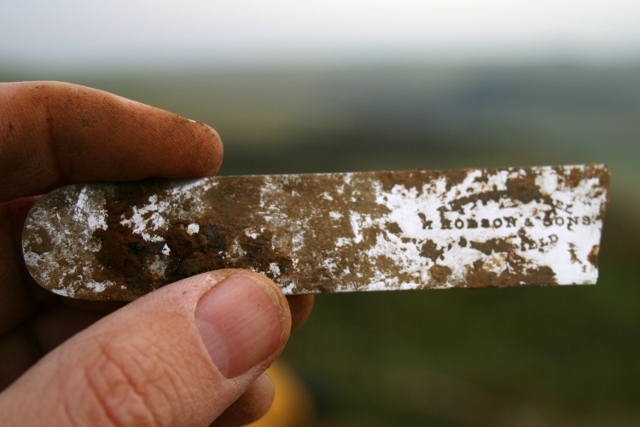 knife by H. Hobson & Sons, Sheffield. This dates the blade to shortly after 1913, when stainless steel was first invented but before this name had been invented or fully adopted. This almost certainly puts it into the ownership of the Moon family, resident from at least 1911-1920.